Syrian Archbishop Jacques Behnan Hindo of Hassaké-Nisibi has appealed to the West not to remain silent in the face of Kurdish discrimination towards Christians in the north-east of the country. Speaking to the charity Aid to the Church in Need, Archbishop Hindo said the Democratic Federation of Northern Syria (DFNS), the Kurdish self-governing regional authority, had unfairly closed Catholic schools and was intent on driving Christians out of the region. 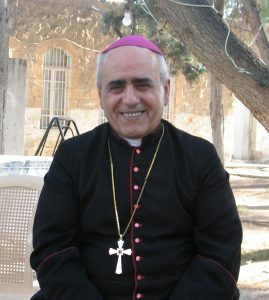 The prelate warned that the DFNS was targeting 85-year-old Christian institutions in the towns of Qamishli, Darbasiyah and Malikiyah because of their refusal to comply with the new Kurdish curriculum. Archbishop Hindo stated that the schools’ closure is part of a plan to “oust” Christians from the area. He explained how since the beginning of the year, the local government has already taken possession of about 100 state-run schools and introduced their own curriculum and textbooks. “They do not want us to instruct pupils in the liturgical language, Syriac, and they do not want us to teach history because they prefer to drum their own history into the heads of pupils,” the Syriac Catholic prelate said. Archbishop Hindo expressed concern for the remaining Christian schools in the region, including six in Hassaké. In 2015, Kurdish forces defeated Daesh (ISIS), which had occupied 35 Christian villages in Hassaké province, but the faithful complained when the Kurds failed to relinquish control for months on end. The Kurdish Peoples Protection Unit (YPG) is also alleged to have entered into a non-aggression land pact with Daesh in 2017. Separately, on Sunday, Pope Francis appealed for Syria and invited the international community to use dialogue and diplomacy to help safeguard civilians in the country. During his Angelus address, the Pope said there were still winds of war in the country and “unsettling news about the risk of a possible humanitarian catastrophe in the Province of Idlib”. The Pope invited the international community “to make use of the instruments of diplomacy, dialogue and negotiations, in compliance with international humanitarian law and to safeguard the lives of civilians”. The Syrian province of Idlib and surrounding areas are the last major enclave held by rebels opposed to Syrian President Bashar al-Assad.